This month sees Tasmanian brewery Seven Sheds celebrate ten years of beers (plus the odd mead and melomel) at its Railton home. 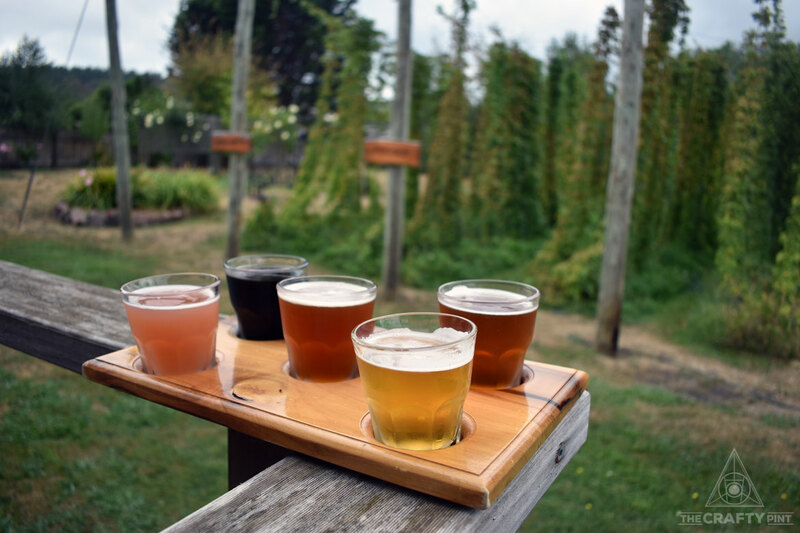 The brewery, hop garden and cellar door is run by Willie Simpson and Catherine Stark and regularly showcases local producers and beer's history – sometimes via forgotten ingredients or by recreating iconic journeys – through its steadily expanding roster of releases. Yet the relationship with the Australian beer world, certainly in the case of Willie, goes back a lot further than a decade. Whether via his long-running beer column in the Sydney Morning Herald, his beer books, his time helping Sydney homebrewers, presenting at events and much more besides, he's been a central figure in the local beer industry for far longer, something acknowledged in various ways: the inaugural recipient of the Services To Craft Beer Award from the Craft Beer Industry Association (now Independent Brewers Association); invited to brew a Forefathers beer with Stone & Wood among them. All of which seemed a fine excuse for Bert Spinks to head back to the brewery in Railton for a chat and to reflect on a life in beer. It always seems to rain when I go to Railton, and this late summer day is no different: this time, just as I’ve moved a paddle of glasses outside, it begins belting down. Big, heavy drops run down the hop leaves in the garden. I take shelter under the verandah. This month, Seven Sheds turns ten. It’s an achievement owners Willie Simpson and Catherine Stark will celebrate, although not with a great deal of pomp and circumstance; that’s not really the Seven Sheds style, after all. The occasion won’t go unmarked, though. In the days leading up to April 23 (the official birthdate), they’ll be brewing a Flemish style sour brown ale, set to be released at the onset of winter. Willie Simpson, a central figure in the Australian beer world over the past 30-odd years, at his Railton brewery home. 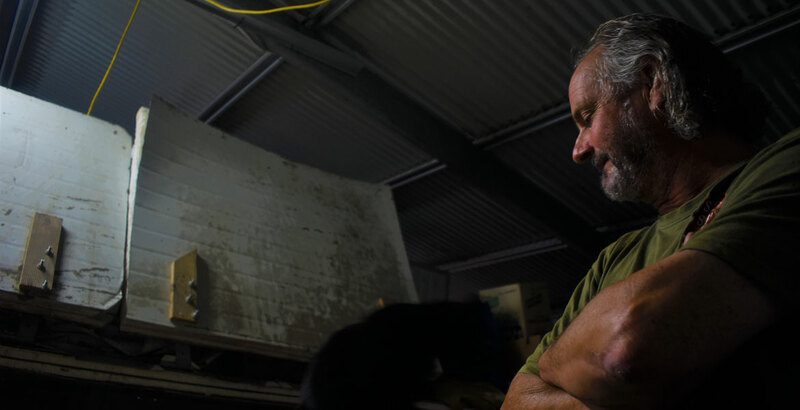 As we sip through a selection of Seven Sheds beers, I begin to unpick the thread of the Seven Sheds story – and Willie Simpson’s own biography. Although he’s originally a New Zealander, Willie has been in Australian beer for an aeon, drinking Coopers and Matilda Bay in the early days of what's now tagged craft beer. Willie also worked as one of the country’s original beer journalists, writing for the Sydney Morning Herald for years and penning a series of books on the Australian beer industry: Amber and Black in 2001, The Beer Bible in 2006 and The Australian Beer Companion three years later. The writing gigs were sometimes tedious, Willie explains – “sometimes it was like weaving something out of gossamer thread” – but it was a line of work that opened up other opportunities, including guest brewing stints and connections with brewers all around the country. Meanwhile, Willie and Catherine had moved to Railton, and here they made the decision to set up a brewery of their own. To start things off, Willie bought some old milk vats and set them up in the shed. 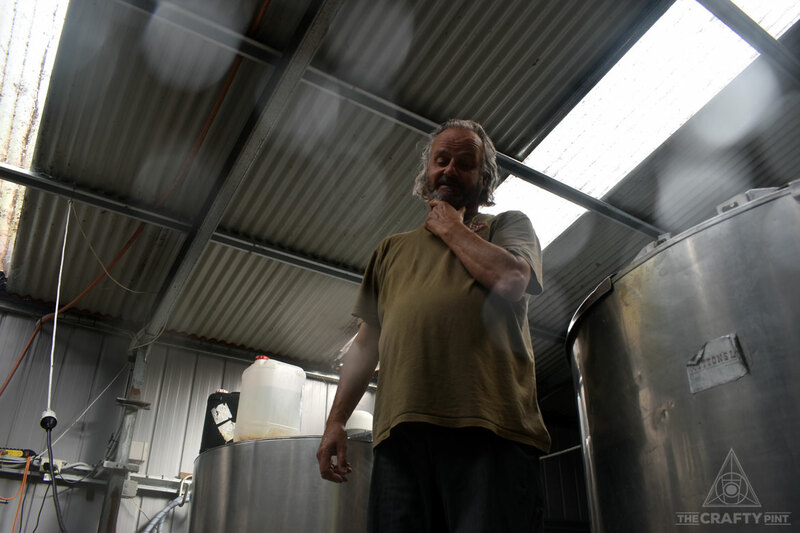 (Like many other Tassie brewers, he proudly shows me some of the improvised elements of the brewhouse: the brewery’s very own peat smoker is one of the inventions.) 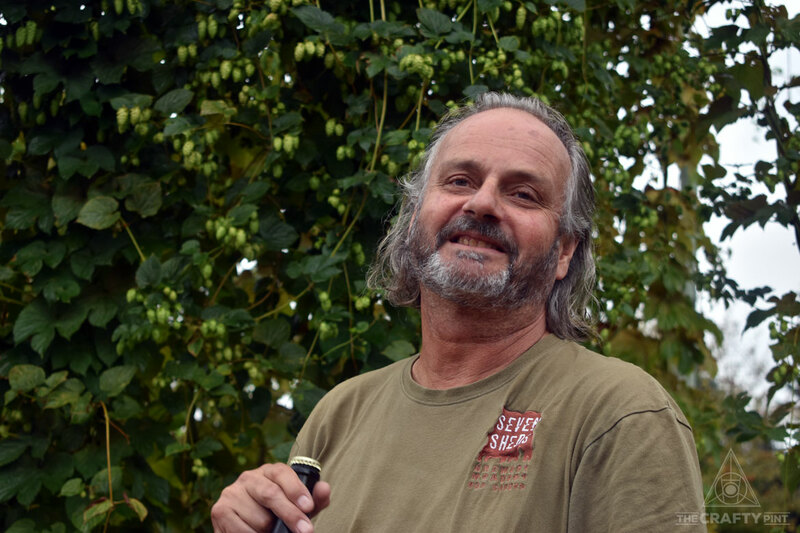 Before too long, he was serving his beer, the Kentish Ale that takes its name from their local area and inspiration from classic English pale ales and remains their biggest seller. When I ask about the long hours involved in trying to establish the brewery near singlehandedly, he gives a typically wry smile and describes his early efforts as, “wrong, delusional, mad and dangerous.” But, in late 2008, just over six months into the brewery’s life, a young lad rolled into the tasting room; he was from a nearby country town, he was lugging homebrew, and he was asking for a job. Evan Hunter was Seven Sheds' first employee, although he did have a bit of an in – Evan’s mum was old mates with Catherine Stark. At first given minimal responsibility, he soon won trust. “I was given a lot of rope to make my own mistakes,” Evan recalls. This included coming up with a couple of brews himself (although they were hardly mistakes: the St Ella IPA and Smokin’ Bagpipes peat-smoked scotch ale were among the beers initiated by Evan and remain part of the lineup today). Evan is now head brewer at Bruny Island Beer Co, nearly a decade into a brewing career himself and continuing to brew innovative beers, and he speaks fondly of those early days with Willie. Willie seems to be equally grateful for that working relationship, as with those he's enjoyed with other assistant brewers and collaborators over the years. He seems to shiver in hindsight at the thought of working alone, as he might have done. “It was a very liberating experience,” he says. The tasting room at Railton was made possible by grant money; Willie and Catherine rightly saw how a small brewery could fit into the burgeoning food-and-drink tourist route in Tassie’s North West. They continue to be immersed in this subculture; both are heavily involved in other community events centred around food and booze and played a central role in the launch of the Cradle to Coast Tasting Trail. Although it’s a quiet joint, Railton isn’t a bad position for all this: they are mere minutes away from some of the best cheese, raspberries and chocolate in Australia. From the early days, Seven Sheds has always been keen to make the most of these neighbours: the brewery has made beers using local berries, cherries, hazelnuts, quinoa and beetroot. A paddle by the hop garden. You’ll also catch Willie and Catherine at Launceston’s excellent Harvest Market, a milieu that fits them superbly. Surrounded by olive oils, relishes, sourdoughs and spuds, it’s easy to imagine them trading goods with the other vendors after the market’s close, then heading back to Railton to cook up a feast. Even closer, though, is the Seven Sheds hop garden: about three metres from the back door of the tasting room. Included in the rows is Leggett, a traditional varietal native to Tasmania that you won't find grown or used commercially anywhere else. Tradition has a lot of traction in Willie’s brewing philosophy. The hop garden gets picked by volunteers, for whom Seven Sheds puts on a bit of a party – the most recent picking day involved Morris dancing, for which I suspect Willie has a soft spot. I had wondered about this involvement with the local community, and indeed the broader food-and-beverage community in northern Tassie. When I first started dipping into the gossip of Tassie craft beer, Willie Simpson in particular had a reputation for being "prickly". I put that to Evan. “He can be brusque when meeting people, but it’s not hard to get under the surface. I came to think of him as warm and fatherly,” he says as we share a chuckle over the “unexpected compliment” that sometimes bubbles to the surface during a conversation with Willie. The two brewers' relation continues beyond mutual respect and affection, even if Seven Sheds and Bruny Island are a long way apart (by Tasmanian standards); last year, the two breweries produced a collaboration and they’re planning to do something together again this year. “It’s amazing what different people have added to it,” says Willie, reflecting on his time in beer and Seven Sheds' decade of operation. Amid the original converted milk vats in one of the seven sheds that make up Willie and Catherine's brewery. 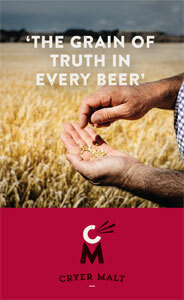 Likewise, it strikes me what Seven Sheds has done for Tassie beer. I started drinking craft beer shortly before I left Tasmania for a year of wandering elsewhere. Along with leatherwood honey and a favourite bushwalk, the beer of Seven Sheds was one of the first things I craved upon homecoming. When they started things up ten years ago, Seven Sheds was perhaps the fourth small brewery established on the island. Now, it is one of more than 20. On a shelf behind the bar in the tasting room, Willie and Catherine have a photograph taken of them on a guided bushwalk through the Tasmanian high country. I recognise the guides, a couple of my dirtbag mates. Willie tells me all about their journey, in which they got belted by boisterous weather and loved it. “It must be something to do with the road less travelled,” Willie says of that trip. The prickly patriarch of Tassie craft beer gives a grin. We'll have updates on the Flemish style birthday beer as and when it's ready for release. 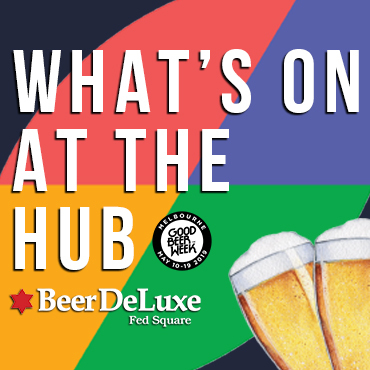 Prior to that, look out for news of a special birthday edition of HOPS, the beer appreciation night at Hobart's New Sydney.